Walk to the Old Center.... WOW! 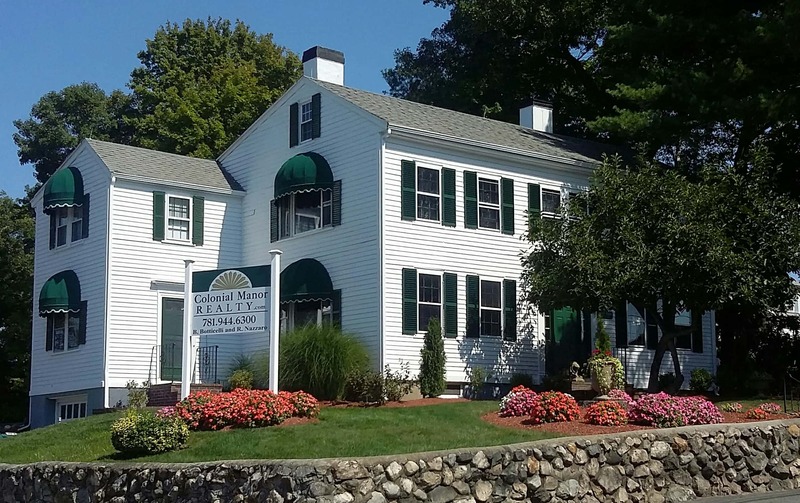 Quality Craftsmanship shines brightly throughout this sun splashed Colonial just a short stroll away the beautiful & historic Old Center of North Andover. This incredible home features a Chefs dream kitchen w/ beautiful Cherry cabinetry, oversized center island, upgraded SS appliances, elongated coffee bar and French Door access to a 40 ft private rear deck. Elegant & Stylish upgrades continue throughout the home incl a Fireplace FR w/ gleaming HW flooring, oversized skylights & a full wall of windows overlooking the private woods filled rear yard. Four great size BR's (all w/ gleaming HW FL's) incl a spacious MBRM w/ incredible MBath w/ double cherry vanities and custom crafted cabinetry. Formal LR & DR w/ HW FL's & detailed woodworking throughout. Finished lower level has 2 separate rooms (both w/backyard access) plenty of storage closets & nooks abound. Central A/C, newer mechanicals, sprinklers + oversized 2 car garage & expanded driveway. PERFECT! A West Side Story....This Colonial home on a cul de sac, one owner custom built in 1970 located on the West Side of Wakefield, seasoned with love & care awaits your decorating ideas.10 Generous sized rooms, 4 bedrooms on the second floor with ample closet space. Fireplaced family room with hardwood floor. Eat in kitchen, large play room on the lower level has two cedar closets. Enjoy your morning coffee from the sunny three season veranda overlooking the backyard. Close to down town shops, restaurants and Lake Quannapowitt. Commuter rail and high way access. Pull into the 2 car garage and let YOUR story begin here! COME AND ENJOY THE QUIET SERENITY OF JOHNSON WOODS! This lovely townhouse boasts a Fabulous Cherry Kitchen with Granite Countertops and Stainless appliances. You can eat and relax in the kitchen area, or you can enjoy entertaining family and friends in the Large Dining Area. Nice open floor plan, Cathedral ceilings, HW floors, Gas Fireplace in living room. There are two generous sized bedrooms on the second level. Master bedroom has Two walk-in closets! Fully finished lower level has family room with second fireplace, full bath and additional room for office/playroom/guest room, etc. Freshly painted interior! Private patio overlooks conservation land! CLOSE TO MAJOR HIGHWAYS, YET AWAY FROM EVERYTHING!!! SHOWINGS TO BEGIN AT OPEN HOUSE ON SATURDAY, APRIL 6th at 11:00 a.m.! Listed by Karen Draper of Premier Realty Group, Inc.
New Construction in North Reading under $700,000! Four-bedroom Cape built with attention to detail. Well-designed construction with beautiful finishes & large windows with tree-lined views, this home has it all! Custom kitchen has beautiful granite counter tops, stainless appliances, bright modern cabinets, peninsula, large eat-in area and slider access to deck, perfect for entertaining. Retreat to the private master suite on the first floor with a walk-in closet and master bath complete with an oversized tiled shower and double vanity. A combined half bath/laundry room round out the first floor. Continue to the second floor where generous common space/bonus room leads to three good size bedrooms and a full bathroom. The lower level has a family room perfect for media room/home office/playroom/den along with a 1+ car garage. Boston is a quick 25 minute drive down Route 93 and the North Wilmington Commuter Rail is less than 3 miles away. Occupancy permit in hand - can close quickly! Spacious 15+ room 2 family on beautiful hard to find corner lot, with 2 separate paved driveways allows for easy access and convienece. New porch first floor unit and deck for second floor unit accessed by double doors right off of eating area, featuring views of the large treed lot. 2nd floor also has a heated front enclosed porch. First floor has 3 bedrooms and with large living room and updated kitchen. This location is ideal for commuters with bus stops in front of the house. The airy lot is truly an asset for this house, with plenty of off street parking. Newer gas boulers installed about 10 years ago, and updated circuit breakers. The bonus is an additional 2-3 rooms in the walk up 3 rd level.